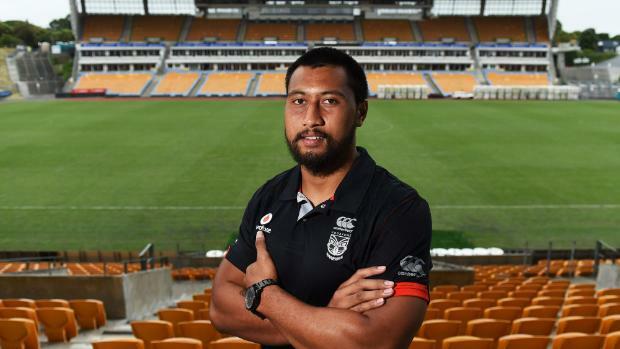 After the bye in Round 18, the Warriors returned to Mount Smart Stadium, renamed Manu Vatuvei Stadium for one night only to face the Penrith Panthers. The Warriors needed a win here to close the gap on the top eight but were found wanting after an inspired performance from Nathan Cleary as the Panthers ran away with a 34-22 victory over the home side. Well, what can you say about this performance? The Warriors started strong with a try to Simon Mannering mere minutes into the game, the Panthers did not let the quick start rattle them and they fired back in quick succession. Both sides traded blows and tries with neither team taking control, with the Panthers going into the halftime break leading 18-12. The Warriors scored the first two tries of the second half and looked to be on the way to a much-needed victory until Shaun Johnson collapsed when he was chasing an Issac Luke chip kick, with the Warriors key attacking spark now off the field the team appeared to fall apart. Returning to the field he had spent many hours at as a youngster, Nathan made the Warriors pay for their lacklustre defensive attitude and score the final two tries of his hat trick back to back. By the time Waqa Blake scored the matches final try the game was well and truly over with the Warriors appearing to check out once Shaun Johnson limped off the field. 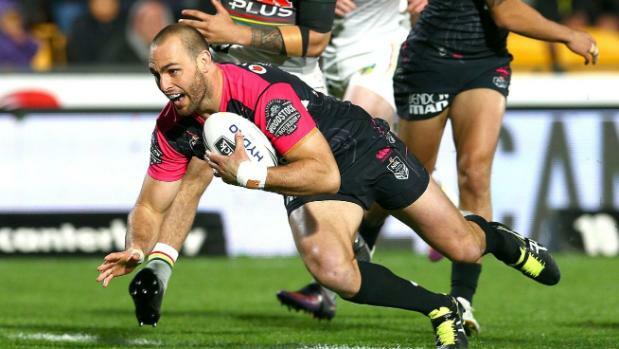 My Warrior of the game goes to Simon Mannering. Simon continues to perform at a level well above the rest of his team mates. As usual, Simon topped the Warriors tackle count but he also made the most running metres in the Warriors pack. Forget the Kiwis spine, Simon is the backbone of this side and if it wasn’t for him the Warriors would be staring at larger defeats than the 12 point loss suffered in Round 19. My Warrior who needs to improve is Ligi Sao. 15 Minutes was all Ligi played on Friday night and he offered nothing to the side on attack or defence when he was out there. He is the quintessential Mr Invisible and is the waste of a bench spot. The only thing that confuses me more than Stephen Kearney's interchange setup is why Ligi got resigned to a new deal when the Warriors have let so many youngsters with potential walk out the front door. With the season on the line and a night dedicated to Manu Vatuvei’s departure, the Warriors had every reason to front but failed to deliver. With the exception of Simon Mannering and James Gavet, the forwards offered no punch up the middle. With the early exit of Shaun Johnson, Kieran Foran was meant to take the reins and lead the team but he took a note from Ligi Sao’s book and disappeared. With Shaun out for 6-8 weeks the Warriors are going to be leaning on Foran and if he doesn't show up, it is going to be a brutal end of the regular season. This week the Warriors are heading to North Queensland to face the Cowboys, even without Johnathan Thurston the Cowboys are still formidable and the Warriors have a tough night ahead of them. In the absence of Shaun Johnson Stephen Kearney has selected Mason Lino to take up the halfback role in the only change from Round 19’s side. Mason is dependable and will do his best for the Warriors but is his best going to be enough? The forwards really need to come to the party this week otherwise the Warriors will be dead in the water. If the Warriors can get a roll on and let their backs loose they may come away with the upset here. Unfortunately, the Warriors post origin history is poor, not to mention how poor the Warriors perform without Shaun Johnson so I am picking the Cowboys to win this match by 14. The Warriors now need to win 6 of seven matches to have a chance of reaching the playoffs, with tough matches against the Cowboys, Sharks and Sea Eagles it is hard to see that happening and looks like the Warriors will yet again fail to make the eight. Hard questions will be asked I’m sure, but what will happen in off season to the club if they fail yet again is hard to say. Jim Doyle has stated that he would walk if the Warriors didn’t make the eight but I think others should go first, namely Tony Iro, Tony’s name always seems to pop up when people talk about the poor culture within the club and as the head of recruitment Tony has lost more players than he has brought in so I believe he should be first to go. So that was unsatisfying Round 19 and as per usual, I will leave you with some questions. Is the Warriors season over now? How do you think Mason Lino will go? Would you keep Ligi Sao in your 17, if not who would replace him with? If the season is over what would you do in the offseason to fix this side? My name is Brad and I have a dream to turn myself from a Wannabe writer into an actual writer, just working on finding my voice and then getting my voice out there. Warriors Tragic, general sports lover and comic book geek. Would love to get conversations going with anything I write on here.